Being a stay-at-home mom is such a rewarding job! Unfortunately, while it pays in many immaterial ways, being a stay-at-home mom doesn’t come with an actual salary. If you want to be a stay-at-home mom, you need to prepare for the financial changes that come with quitting your job and taking care of your kids all day instead. 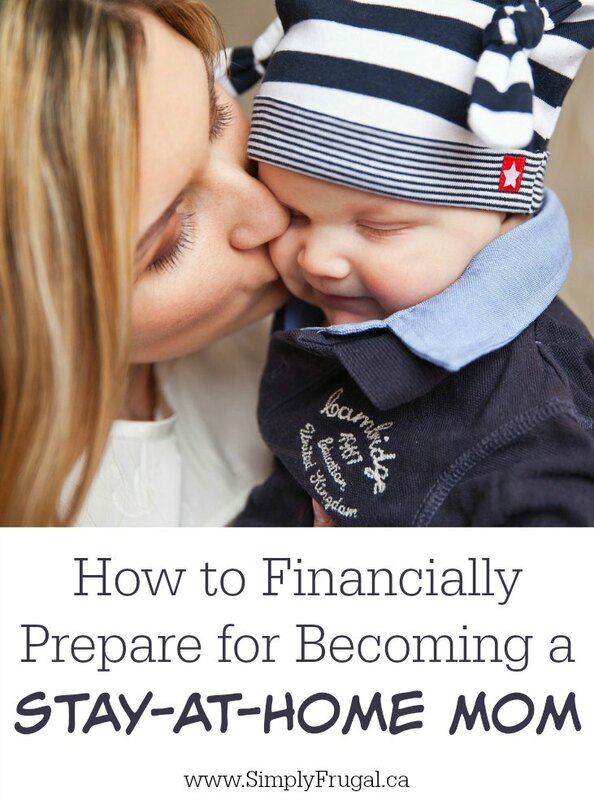 These tips will help you discover ways Financially Prepare for Becoming a Stay-at-Home Mom! The number one thing you need to do to financially prepare for becoming a stay-at-home mom is to lower your expenses. Right now you’re used to being a dual-income family, and your current budget may be working well. But, will it still work once you remove your income from the equation? Run the numbers, and then see what expenses you can lower or cut out completely to make everything balanced again. If you haven’t been practicing frugal living before, this would be a great reason to start! Less income means less money instantly available for emergency expenses and less money going toward long-term savings goals. If you want your family to be financially sound while you’re a stay-at-home mom, then you need to make sure plenty of money is set aside in savings. Ideally, you’d have enough money saved that if all your current sources of income disappeared, your family would be financially fine for at least 6 months. Related: This Budget Binder Kit will help you keep your finances in order. When you financially prepare for becoming a stay-at-home mom, don’t forget your family’s debt. When you’re a stay-at-home mom, debts will have to be paid without any help from your income. Make things easier for yourself later down the road and pay off as much debt as you can now while your income can still contribute. That way, when your family is working off a single income, your monthly payments toward debts can be much smaller. Practice makes perfect! To financially prepare for becoming a stay-at-home mom, make a practice budget excluding your income. Then try to live through a week or month with that budget. This will let you see first-hand what lifestyle changes you may need to make, and expenses you may have to cut. When the practice period is over, you’ll be able to make a much more informed budget that will actually work when you make the switch for real! Have you ever been a stay-at-home mom? How did you make it work financially?